This post is sponsored by Orion. 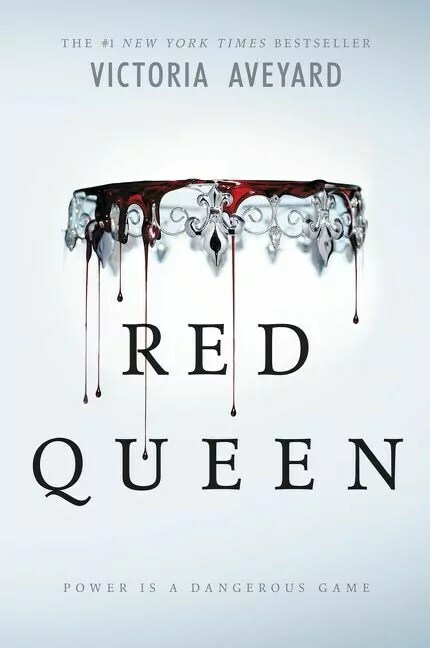 Victoria Aveyard’s epic Red Queen series may have come to an end but our love for it will forever live on. Fortunately, we can celebrate the series existence and mourn its end with some old fashioned, always necessary, retail therapy inspired by the series itself. Available as either a pocket mirror or badge, this gorgeous quote design allows you to subtly carry a motivating reminder wherever you go. Around 40,000 words from Red Queen itself creates the stunning design for this tee, giving you the ability to literally keep this series near to your heart at all times. This design is also available as an equally gorgeous tote bag or poster. Whether you’re reading the Red Queen series for the first time or a veteran wanting to hold onto it for a long as possible, these gorgeous cover inspired bookmarks make for the perfect reading accessory. The series itself may have finished but that doesn’t mean you can’t continue to immerse yourself in Victoria Aveyard’s world and with this colouring book, you can make her world your own. Everybody loves a candle, even more so when it’s inspired by a character you love. Scented with white tea, rain and smoke, this candle will help you escape into Mare’s story. Nothing proves your allegiance to a book quite like giving it centre stage in your home and this gorgeous print, with its backdrop curated from 1895 dictionary clippings, beautifully showcases the stunning cover for book one in Victoria Aveyard’s series. Is anywhere a more appropriate place to keep your laptop safe than inside a sleeve decorated with the map of a country notorious for its technology and power and known as the “light of the world” by its citizens? Mare, Cal, Maven, Mareena, Diana and Evangeline, no matter your favourite character from the Red Queen series, with these adorable magnetic bookmarks saving your page, they’ll undoubtedly become your new favourite reading companion. Technically not merch but what kind of list would this be without featuring the books themselves? The paperback edition of War Storm, the epic finale to Victoria Aveyard’s Red Queen series is out now. Pick up your copy of War Storm and complete your collection here.